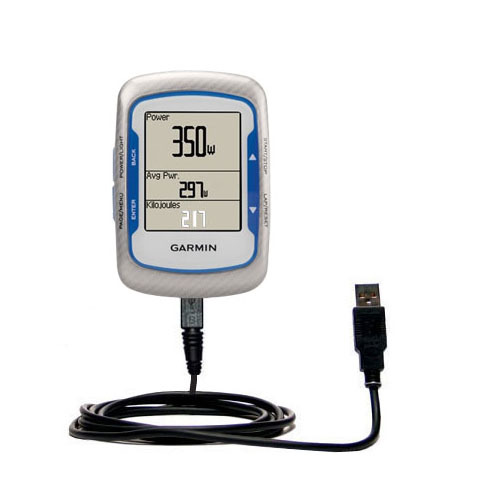 Integrated circuitry regulates output voltage specific to the Garmin EDGE 500. 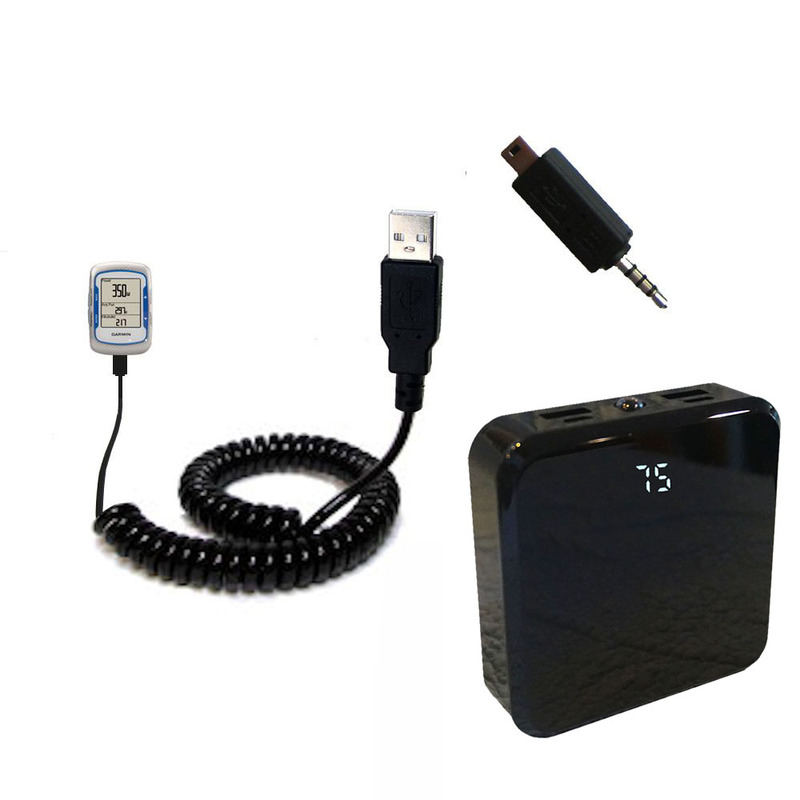 Advanced logic maximizes overall charger efficiency. 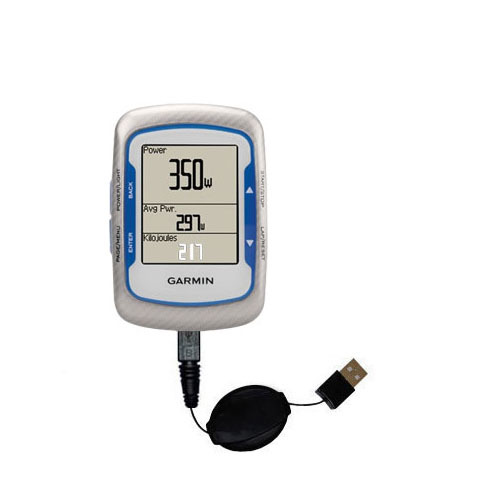 There are always times when our Garmin EDGE 500 seems to run out of power at the most inopportune times. Without a conventional charging source in sight; we are often left with no recourse other than to let the battery run out. 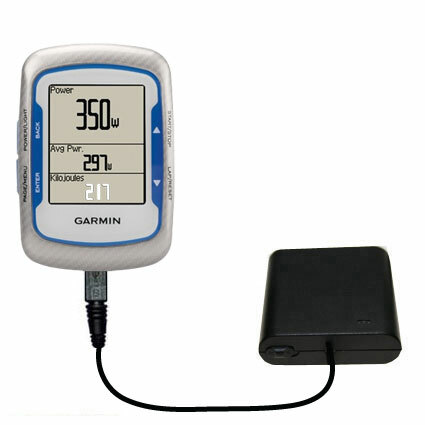 Enter the Gomadic Portable Emergency AA Battery Charger for the Garmin EDGE 500. Simply insert a fresh set of batteries into the battery pack; toggle the on/off switch and connect your Garmin EDGE 500. Instantly the device will start to charge and you will be up and running again. 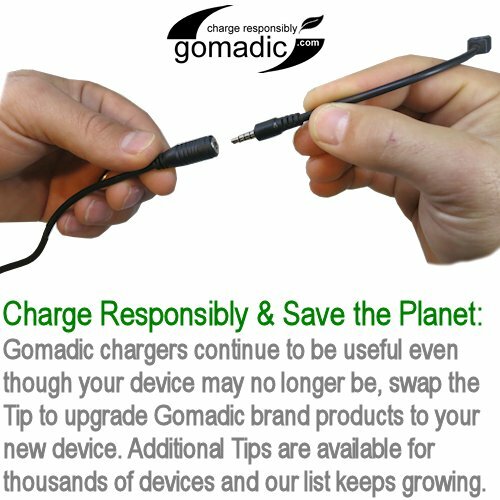 Backed by our Gomadic Lifetime Warranty and over 10 years of innovation in charging accessories; we think you will find this to be one of your favorite accessories! 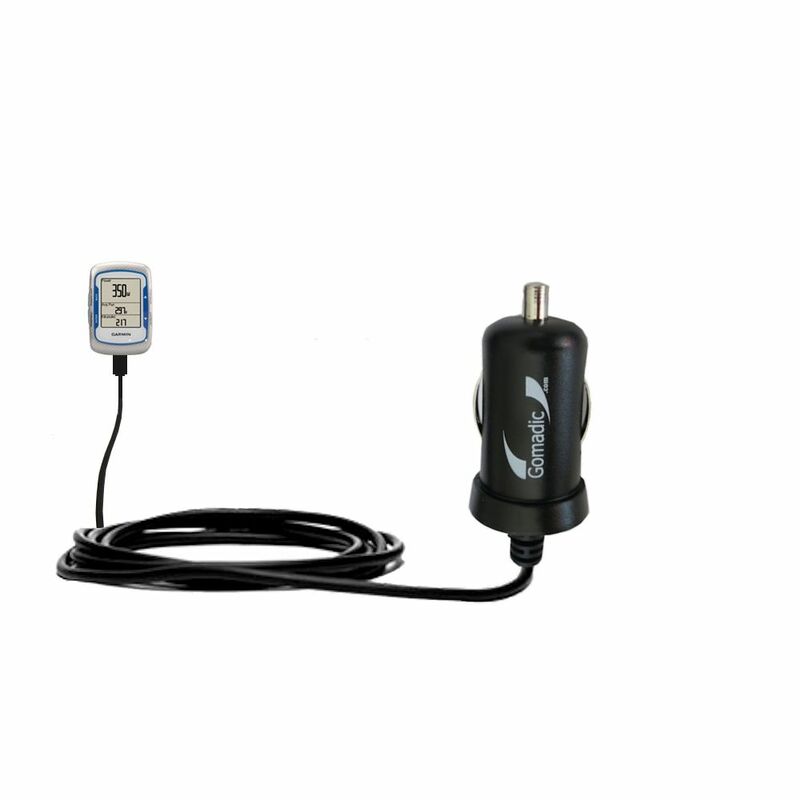 Safely and rapidly charge your Garmin EDGE 500 with our TipExchange enabled car chargers. Built with extra surge protection and 2000mA of power; this charger heads the pack. 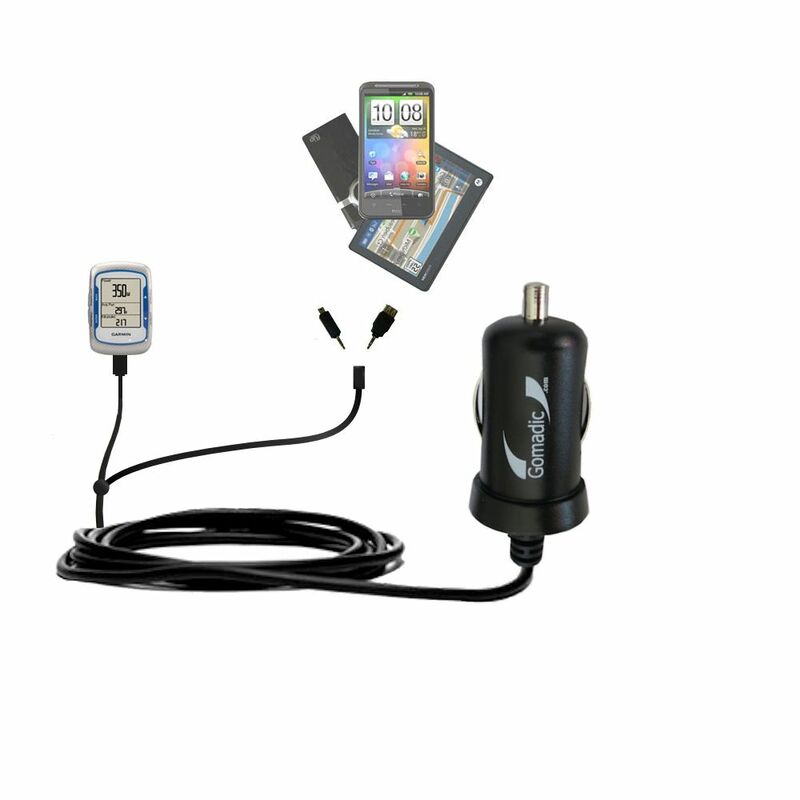 A money saving power bundle for the Garmin EDGE 500 that combines both an AC Wall Charger and a DC Car Charger. 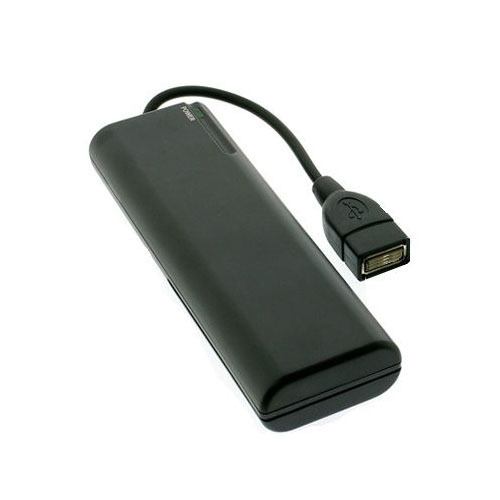 Both include 1000mA of power; TipExchange and have a lifetime warranty. 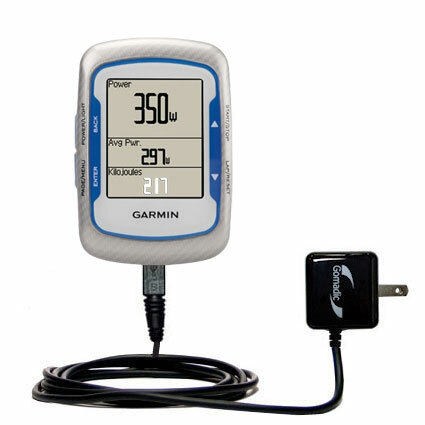 A great way to sync with a PC's USB port and recharge your Garmin EDGE 500 at the same time. 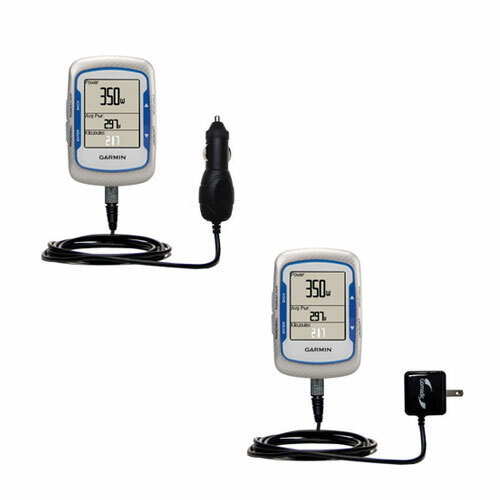 Built using TipExchange and covered by a lifetime warranty this cable has it all. 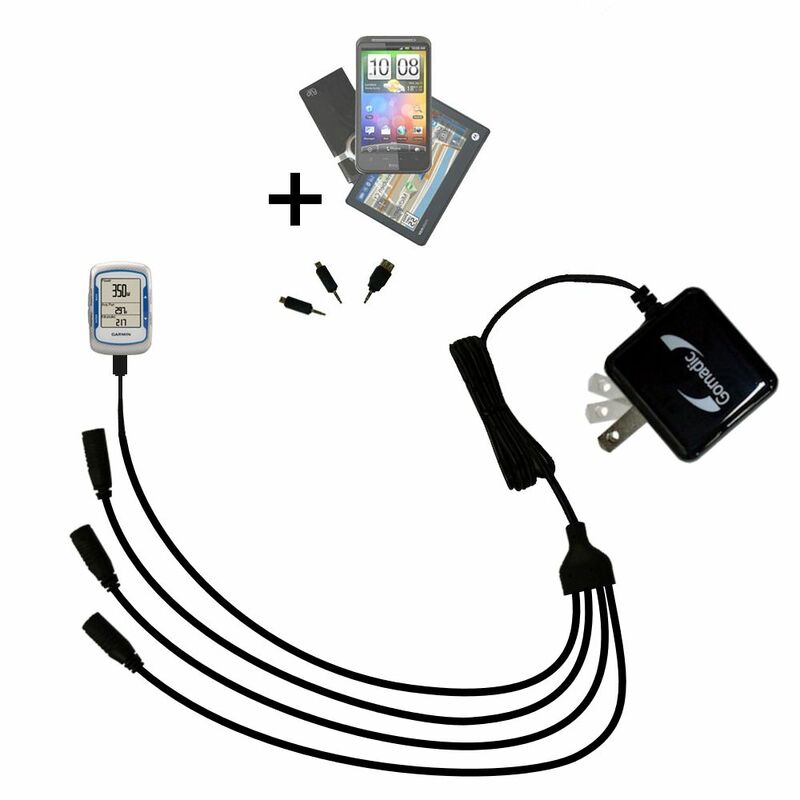 A unique coiled USB cable which will both sync and charge your Garmin EDGE 500 at the same time. Built using our unique TipExchange technology and covered by a lifetime warranty. Need a USB charge cable for your Garmin EDGE 500; but don't want to add additional clutter to your PC travel bag? Our retractable cable (with TipExchange) comes to the rescue. 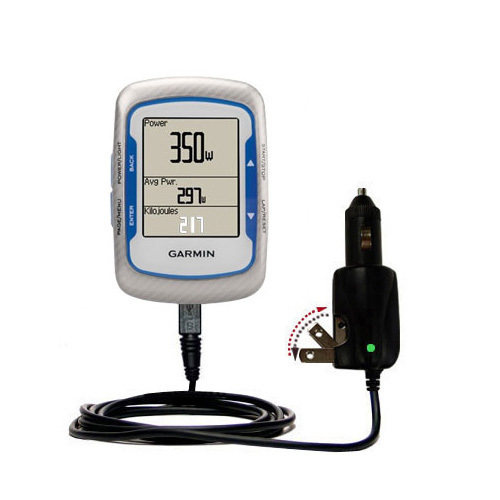 Finally a way to charge your Garmin EDGE 500 and any second device at the same time with one charger. Based on Tipexchange technology; the possible combinations are endless! 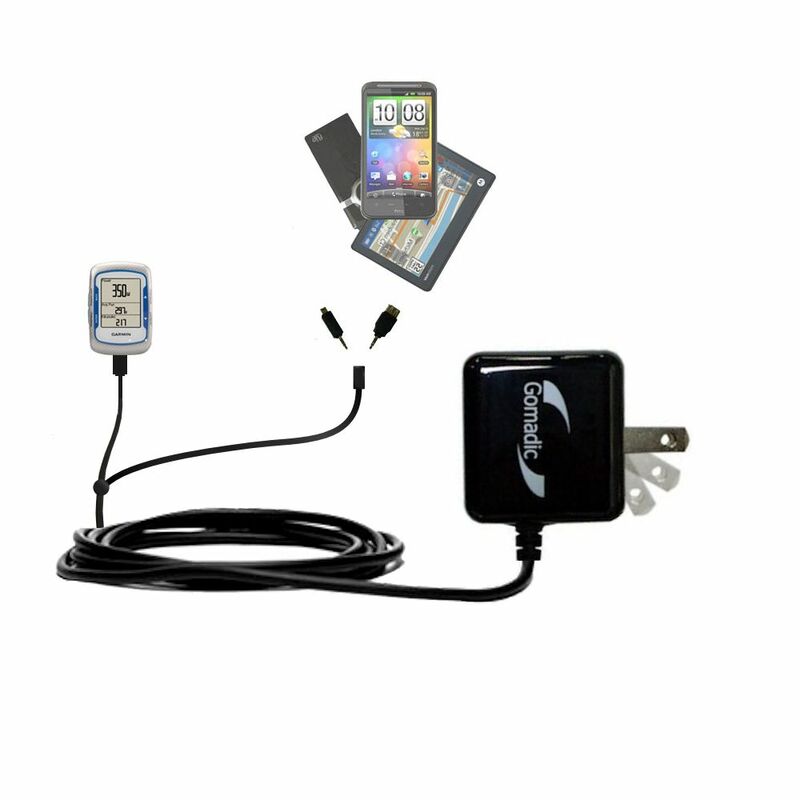 Use our double charger to simultaneously charge your Garmin EDGE 500 and any other device(s). 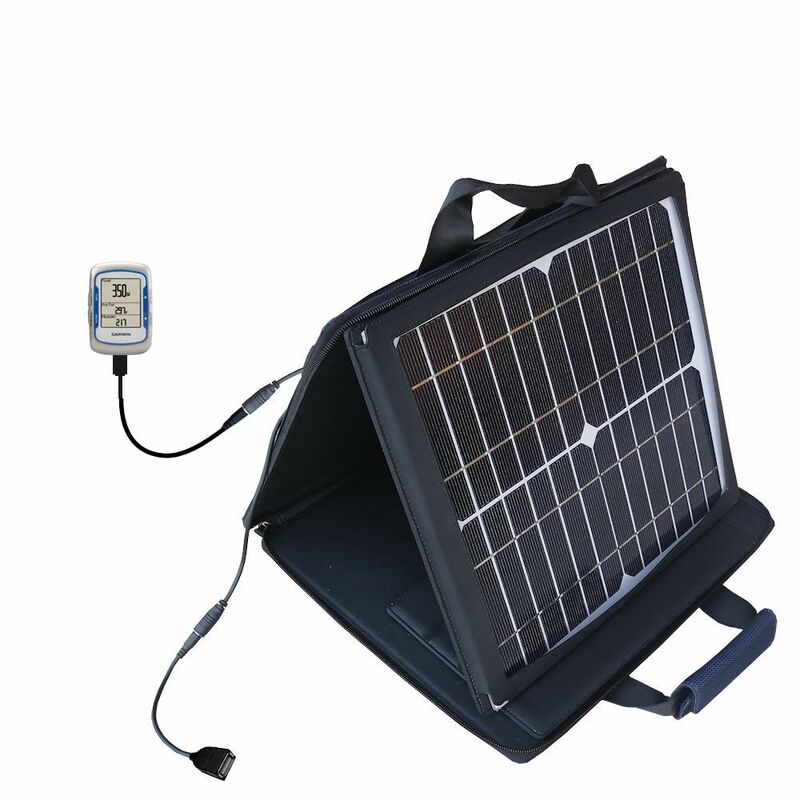 With 2000mA of power; you will spend more time using and less time charging your accessories. 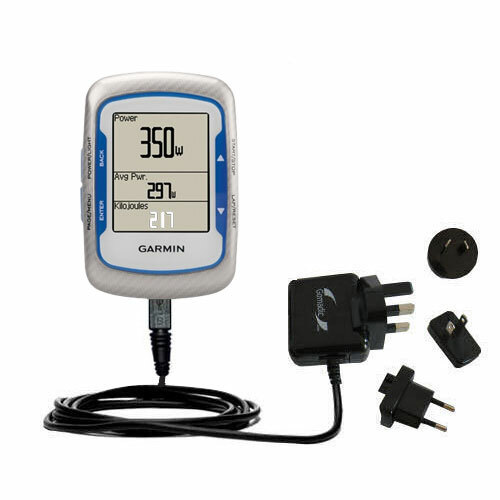 Safely and rapidly charge your Garmin EDGE 500 with our TipExchange enabled International Charging Kit anywhere in the world. Built with extra surge protection and 1000mA of power; this charger heads the pack. Ever wish you had a charger in your pocket; now you can. 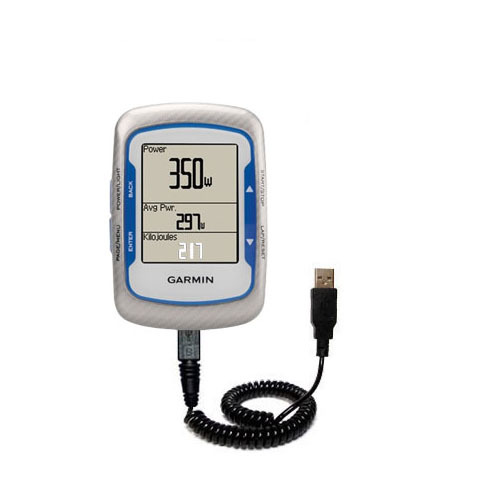 Don't settle for a boost; charge your Garmin EDGE 500 several times over with Gomadic's Pocket Charger using Lithium Battery Technology. 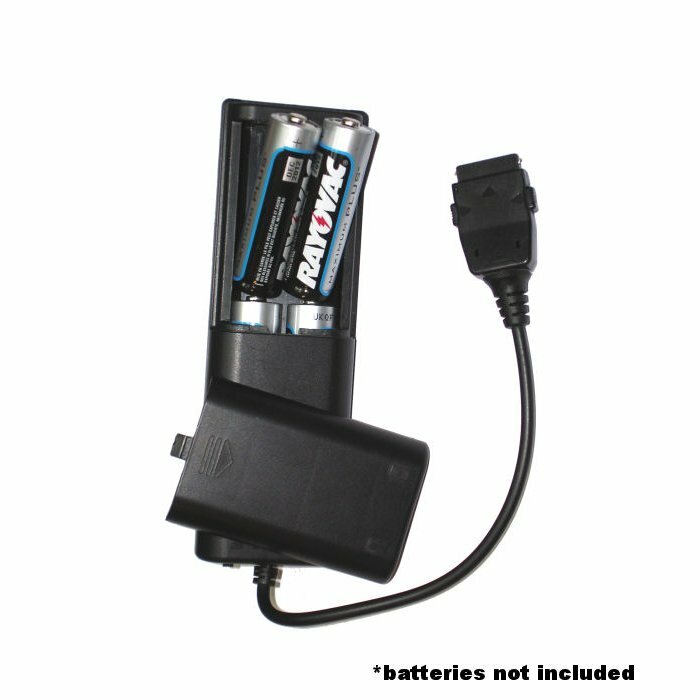 Provides your Garmin EDGE 500 with a unique combination of both a Rapid Car Charger and Rapid Wall charger into one light; compact; TipExchange enabled design. 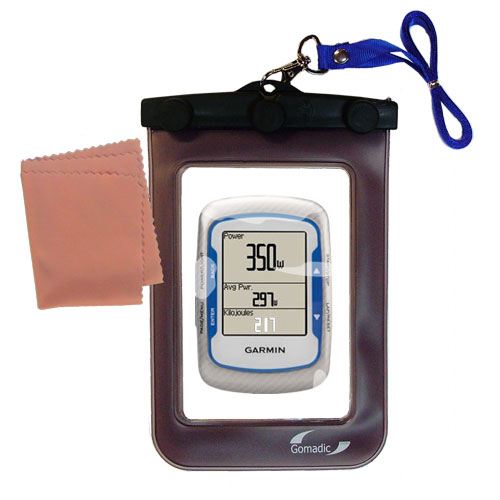 Whether your heading to the beach or off on a camping trip; our Waterproof bags are an effective and inexpensive way of protecting your Garmin EDGE 500 from the environment. 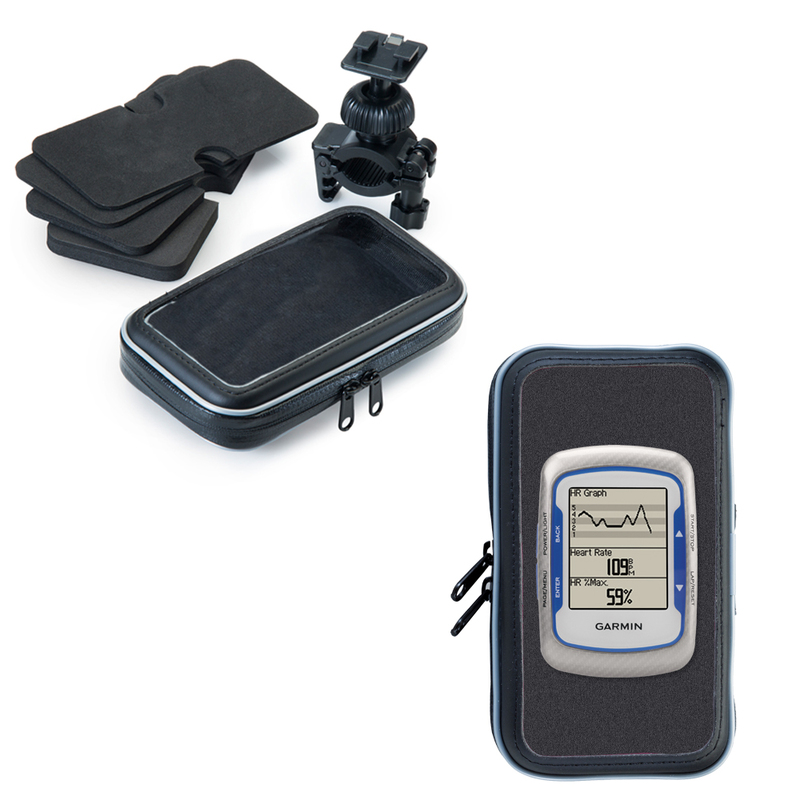 Whether you are a triathlete training for the Iron Man, enjoy mountain biking off road, or ride your motorcycle whenever you can, you can now take your Garmin EDGE 500 on the adventure with you.